Debra Green OBE is the National Director and Founder of Redeeming Our Communities (ROC), founded in 2004; a registered charity and Limited company. She is frequently asked to speak at events and conferences. She also speaks at conferences organised by statutory authorities and public services. 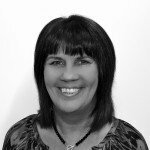 Debra has 25 years of experience in bringing organisations together towards the goal of social transformation, starting with her home city of Manchester. Since 2004, this work has expanded and she has acted as a consultant to many other towns and cities with significant results. Such work has attracted interest from public services and local authorities who are impressed by the proven track record and results achieved. She received an OBE in 2012 in recognition of services to community cohesion. Debra has had several books published. ‘City-changing prayer’ by Debra and Frank Green in 2005, ‘ROC Your World – changing communities for good’ in 2014. ‘Mountain Moving Prayer’ will be available in March 2019. Her books are available to purchase from our shop.